Plumbing is doubtlessly a service that requires great levels of professional training and experience for the job. 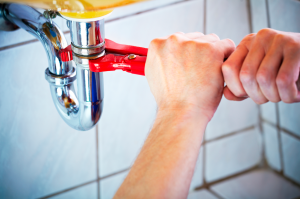 There are a lot of different plumbing services that are offered by professional plumbers. Some of these services include repairing of any sort of leakages, installation of pipelines, home appliances installation such as dish washers and hook ups among others. -They use the latest plumbing tools and equipment. Professional plumbers always carry and use high-end and latest plumbing tools and equipments. As a matter of fact, they are highly skilled and experienced to remedy even the most difficult and troubling plumbing problems. The use of the state-of-the-art tools and equipment guarantee long lasting results. -They always look for and find permanent solutions to every plumbing problem. The repair and installation services offered by a professional plumber are always top-notch and of the best quality possible. Repairs and installations carried out by a professional plumber always offer long lasting solutions. As such, one does not meet or suffer from a similar recurring problem in a very long period of time. In case the improvement projects of your home include kitchen and bathroom remodeling, then you definitely need to hire professional plumbers for the best plumbing services. -They offer a wide range of plumbing services. Professional plumbers are always in a better position to provide plumbing services of varying magnitudes. They can handle both residential and commercial plumbing needs with professional expertise, care and efficiency. Even though the do it yourself’ projects can at times be appropriate for your daily operations, you simply cannot depend on yourself during home improvements and renovations. Leaking pipes and taps can result to huge water bills and other messed up problems in your home. A plumber who is professionally trained is always in a position to handle and attend to such issues quickly any time even at odd hours. -They give diagnostic reports that are very detailed. Many plumbing problems are caused by hidden factors. A professional plumber will easily trace the problem’s root cause and give you a diagnostic report that is all inclusive and detailed. They also check the whole system to identify and establish the underlying problem. They do not use any guess work. A professional plumber will also advise you on how to maintain and keep your plumbing systems in a good working condition. A professional plumber provides customer support services which are excellent and exceptional. The moment you sign the contract with them, you are given their direct hotline contact number. This way, you can easily contact them in case of emergencies to receive immediate support. In order to enjoy these benefits, it is crucial to hire a skilled, experienced and reliable professional plumbing contractor. I really love your site.. Very nice colors and theme. Did you makke this website yourself? Cheers!